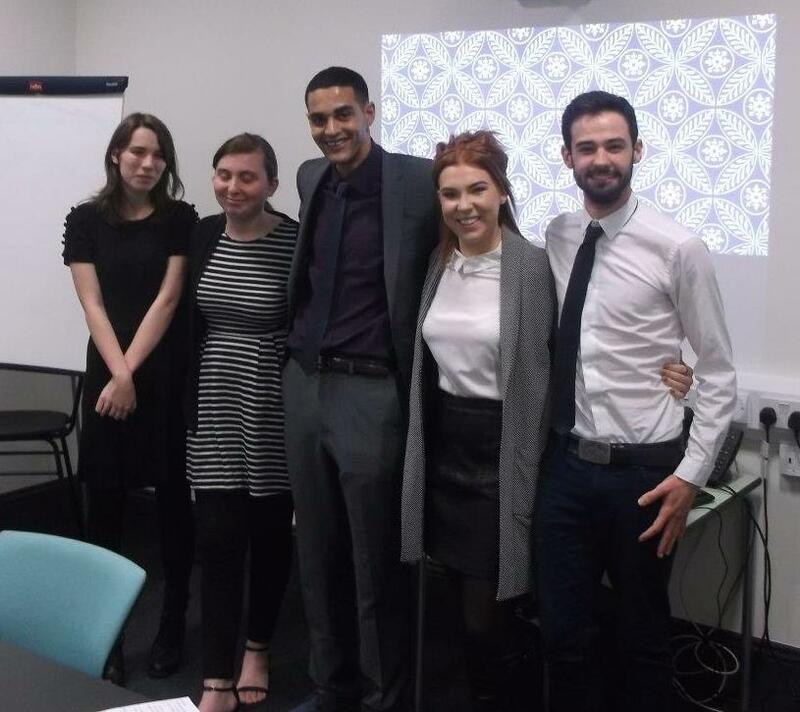 Over the past few months, five second year history students from Derby University have been undertaking a module called Contemporary Issues in the Creative and Cultural Industries. This has required them to tackle a real life work challenge which has been posed for them by the Record Office: how can we raise money to catalogue the Bryan Donkin archive? In case the name Bryan Donkin isn’t ringing any bells, we’ve mentioned him a few times in our blog so far and you can expect to hear a lot more about him in the future. Bryan Donkin (1768-1855) wasn’t a Derbyshire man, but the firm he founded, the Bryan Donkin Company Ltd, moved to Chesterfield in 1902. Bryan Donkin was an engineer, inventor and industrialist whose name has been undeservedly forgotten. Why should we know his name? Because he developed two pieces of technology that we can’t live without: paper-making machinery (imagine a world where paper is still made by hand!) and that store cupboard staple, the tin can – you can read a bit more about these and other inventions on the Bryan Donkin Archive Trust website. Last Friday, the students came to present their recommendations to staff from the Record Office, the Bryan Donkin Archive Trust and the University. They did a fabulous job, with an extremely professional presentation and a host of well researched and interesting ideas. Our next step will be to prepare a fundraising strategy using their suggestions, including considering setting up a body to do the fundraising, raising the profile of the archive, running events, crowdfunding, corporate philanthropy and grants. A huge thanks goes to the students for all their hard work, professionalism and enthusiasm! This was their first foray into the world of archives but hopefully not their last. We’ve thoroughly enjoyed working with Derby University on this project and hope to continue working together, not least on taking forward some of the students’ excellent ideas.